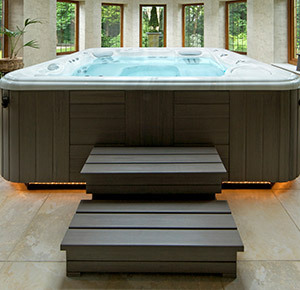 Rejuvenating for body and mind – a pleasure as a solitary getaway, a special time with a loved one, or the favourite spot at parties, hot tubs and spa pools are a treasure of great benefits! 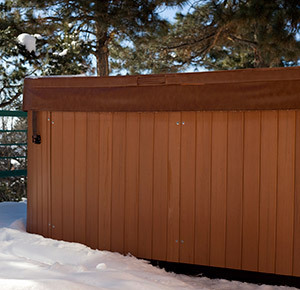 While enjoying a starry summer night, watching an autumn football game on tv or experiencing the unique pleasure of a snowy day from warm, steaming water – there are as many ways to enjoy your hot tub as there are days in the year! 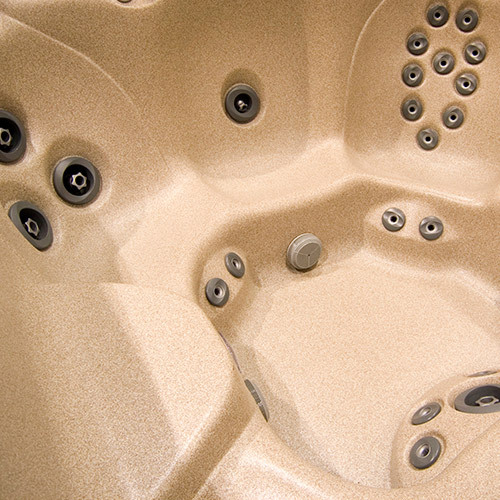 With more than a dozen forms available, there’s a hot tub or swim spa that will feel perfect for you. We’ll make it easy to choose from the sizes, shapes and features available to get the best addition to your outdoor space. From basic benches to seats that envelop and massage the whole body. UV-treated, durable material will ensure long-lasting comfort and good looks. For added safety and accessibility, handles are always a smart feature. Great for parties, or when you're exercising, reading or playing with the kids. 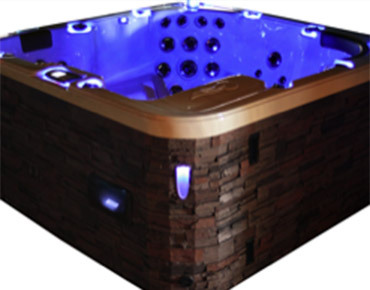 Have a question about hot tubs? 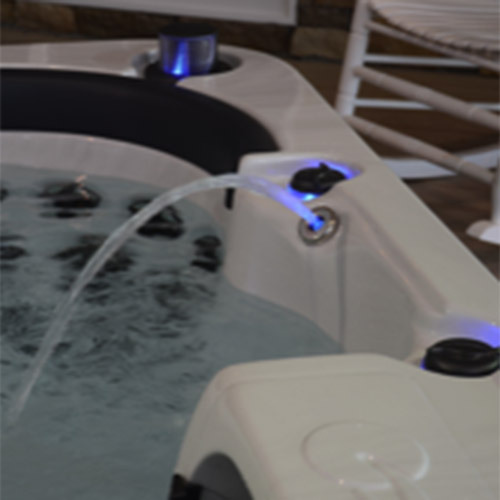 With soothing warm water, massaging jets adjustable to your preference and the scents and sights to soothe the mind, the outdoor spa pool is a therapeutic haven at home. State-of-the-art electronics deliver all the fun. In-water lighting makes it all seem magical. Choose a single-coloured ambient glow, or transitioning multi-colours for parties. Kids love it too! 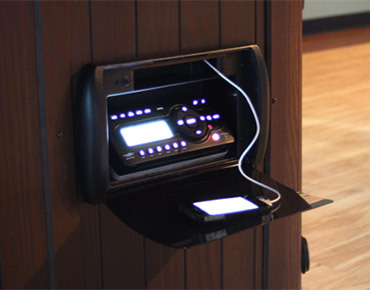 Enhance the experience with a built-in sound system and marine-grade, pop-up speakers. 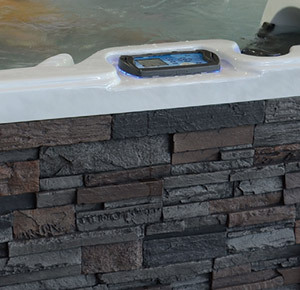 All positioned within easy reach, but a mini waterproof remote is also included. 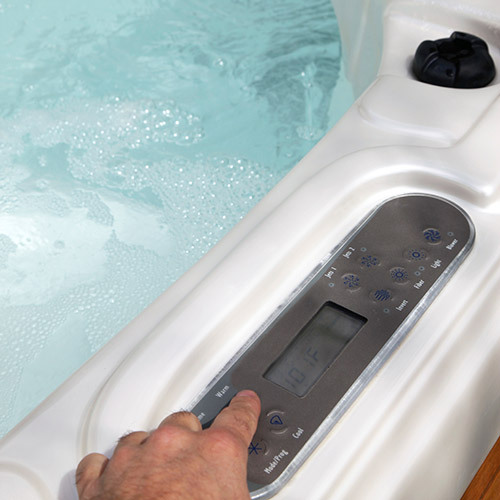 Digital topside controls adjust air, water, light and sound. They are easy to use and ensure it's an ideal experience for every user. Features for your convenience and comfort. 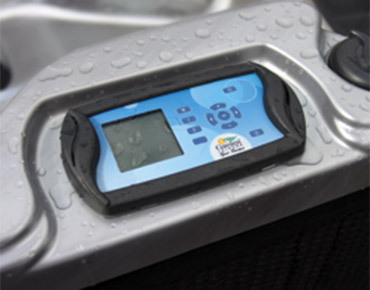 With the technologies available today, keeping your pool clean and operating efficiently is easier than ever! Jets and filtering system work together to fully clean the water every few minutes. Heat generated by the pumps are kept in the system while cooler outside air is kept out. A more natural type of water sanitization, it can also be lower maintenance and cost as well. Exterior steps can complement your existing outdoor area, while interior steps are designed for maximum ease of entry. Keep your water free of airborne debris and ensure water safety. Covers are available as manual units and automated. Multiple interior and exterior colours to choose from to complement any surrounding backyard features. Cabinetry comes in textured finish, wicker style and faux stone options, all with sound-proofing, insulating and flame-retardant qualities. With over 20 years of pool construction behind us, we have built a great team and a highly efficient process. Check out the steps we take in a standard pool installation. And as always, let us know if you have any questions! 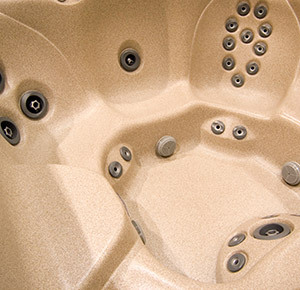 We are committed to making Tropical Pools and Spas a valued addition to your home for years to come. Find out more about how we make sure you're covered with an industry-leading warranty.